Thank you for attending this symposium and making it a success. Almost all talks and posters are available from the Program page where they are linked to the author's name. 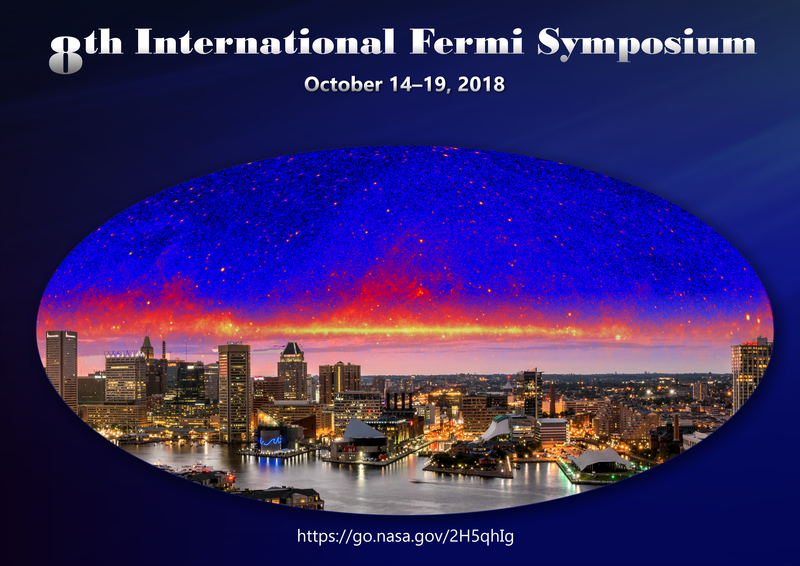 This symposium follows previous Fermi Symposia at Stanford, CA (February 2007), Washington, DC (November 2009), Rome, Italy (May 2011), Monterey, CA (November 2012), Nagoya, Japan (October 2014), Arlington, VA (November 2015), and Garmisch-Partenkirchen, Germany (October 2017). All gamma-ray data are made immediately available at the Fermi Science Support Center. These publicly available data and Fermi analysis tools have enabled a large number of important studies. 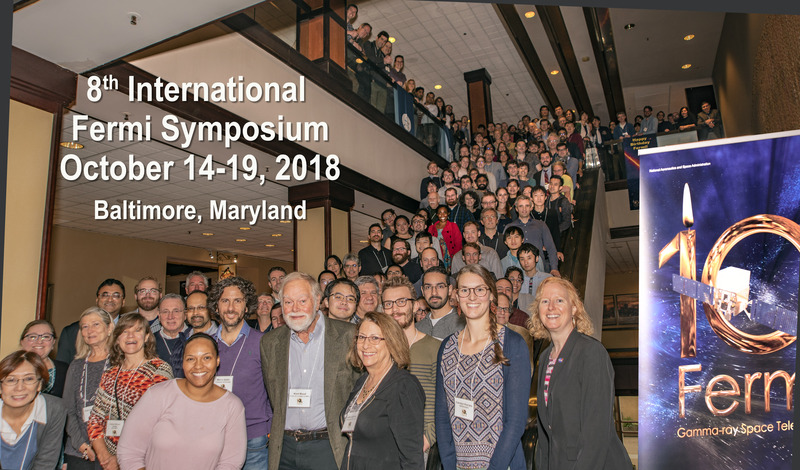 We especially encourage guest investigators worldwide to participate in this symposium to share results and to learn about upcoming opportunities. This meeting will focus on the new scientific investigations and results enabled by Fermi, the mission and instrument characteristics, future opportunities, and coordinated observations and analyses. Monday, Oct 15, 5:30-6:30 on the Terrace. Join us for a delightful dinner cruise on the Spirit of Baltimore. Delicious food with panoramic views of the skyline. Boarding starts at 6:30pm and we depart at 7pm. Click here for additional tickets. Please see the allergen chart for the food options at banquet dinner. Hotel bookings at the conference group rates can be made here until 10 Oct 2018. Later bookings must be made directly with the hotels.